Colorado travel deals can't be beat when staying at Ski Town Condos Vacation Rentals in the quaint historic mining town of Monarch/Garfield Colorado with a 7-Night Special for the price of 5 nights at $750 + 6.8% tax for 4 guests! This beautiful valley is on the west side by the Collegiate Peaks and Arkansas River makes up the eastern boundary. Between are beautiful valleys, filled with rich ranch land, ghost towns, mountain lakes and streams, abundant wildlife and quaint Historic Towns. In summer and fall Chaffee County is a mecca for the outdoor enthusiast. Visitors can choose from recreational activities such as hiking, biking, OHVing, kayaking, whitewater rafting, flyfishing, horseback riding, swimming, and golfing. Let Ski Town Condos put a package together or plan your own outdoor adventure. $55 - 2.5-hour Horseback Ride must be 6 yrs + to ride. Enjoy lodging surrounded by the San Isabel National Forest in the historic mining town of Garfield/Monarch, Colorado. 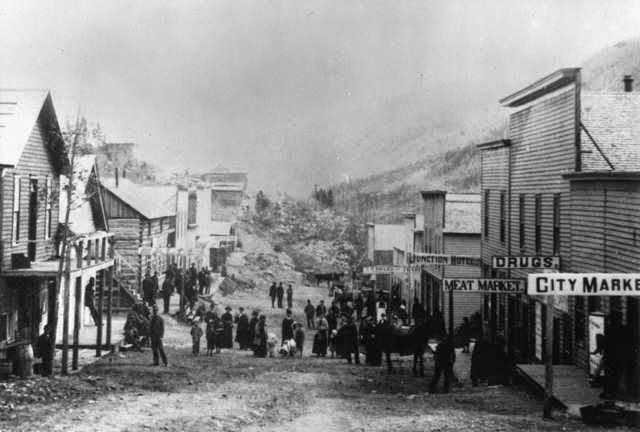 Garfield was a boomtown in the 1880's.